Congrats, you’ve discovered Dr. Bones and Nurse Amy’s Survival Medicine website! We know this may be a little overwhelming at first with the hundreds of articles we have provided for your education, so we are giving you a place to understand what this site is about and a good starting sample of articles to read first. Knowledge is power! 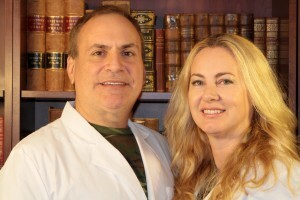 Nurse Amy, aka Amy Alton is an Avanced Registered Nurse Practitioner and Certified Nurse-Midwife, and Dr. Bones, aka Joseph Alton is a Medical Doctor and surgeon. We are the authors of #1 Amazon Bestseller in Survival Skills and Safety/First Aid The Survival Medicine Handbook, written to provide you a hard copy of knowledge for a time when modern medical facilities may not be available to or your family. In circumstances when you have lost access to modern medicine, there is no substitute for being medically prepared. Any disaster, short term or long term, puts your loved ones in jeopardy without medical preparedness. History tells us that these types of calamities CAN happen. From tornadoes in Joplin, Missouri, to hurricanes on the gulf coast, medical personnel could easily be out of reach when a real emergency strikes someone that you care about. In this situation, YOU are now the highest medical resource left, whether you like it or not. When there is no doctor or modern medical facilities available, a well-prepared family or group should have already assigned the responsibilities of medic. The responsibilities of this person are daunting, and it certainly will be a challenge to accumulate adequate medical stores and obtain the medical knowledge necessary to be a healthcare provider in times of trouble. Those who are willing to step up and take responsibility for the medical well-being of their loved ones will be special individuals with a special mission. If you have been chosen to pick up the flag, your first assignment is to get some medical training. Some of it will be book learning, and some will be hands-on; the more you learn the better your chances of acting quickly and effectively. In order to get a good start, you’ll have to study basic first aid and put together a library of medical information that you can refer to. Books on survival medicine/first aid, anatomy, and physiology will be useful. Anatomy is the blueprint of the body, and physiology is the operating manual. With a working knowledge of these two subjects, you’re in a better position to understand disease and injury. They’re essential for you to become a successful medic for your group. If you are prudent, you will have put together a store of medications, both pharmaceutical and natural, to use in an austere setting. These should include antibiotics, anti-diarrheals, pain relievers, and various others (use the search engine on the upper right of this page) for articles on must-have items). Medical equipment in the form of instruments, dressings, blood clotting agents, and others will make your job easier. As well, some dental equipment will also be important, especially in a long-term survival scenario. These are important steps where medical preparedness is concerned. The most important asset needed to become a competent crisis medicine healthcare provider for your group? How about common sense? A sensible person with good medical supplies, a few medical books and a willingness to learn will be an effective medical resource; No diploma is required to be an asset to your family in a collapse situation, just some time and effort NOW to get the knowledge and skills required. Spend some time volunteering in your local emergency room as part of your medical training. Take first responder courses and learn CPR. A number of medical professionals (including yours truly) offer courses on wound care, wound closure, and other medical topics. In time, an individual with emergency training and the right supplies would, perhaps, be more useful than a physician who has spent his or her career reading X-rays for a living and not seeing actual patients in distress. Remember, a key thing to note about survival medicine is to maintain a calm demeanor, as sick or injured people will be agitated and need a caregiver with a level head. Another useful attribute of a good medic is the dedication to teach other members of his/her group some of the survival medical skills that he/she learned. You can’t be everywhere at once, and the basics aren’t that hard to teach. Cross-training is important, as the medic may one day need a medic! There’s a lot more to it than the few paragraphs above, but don’t let anyone tell you that it’s impossible for you to a successful medic in uncertain times. Sure, know the limitations of your situation and, if modern medical care is available, let the pros do their job. But know this: You may one day be the end of the line when it comes to the medical well-being of your people. Be ready, and you may be the one that helps save a life.